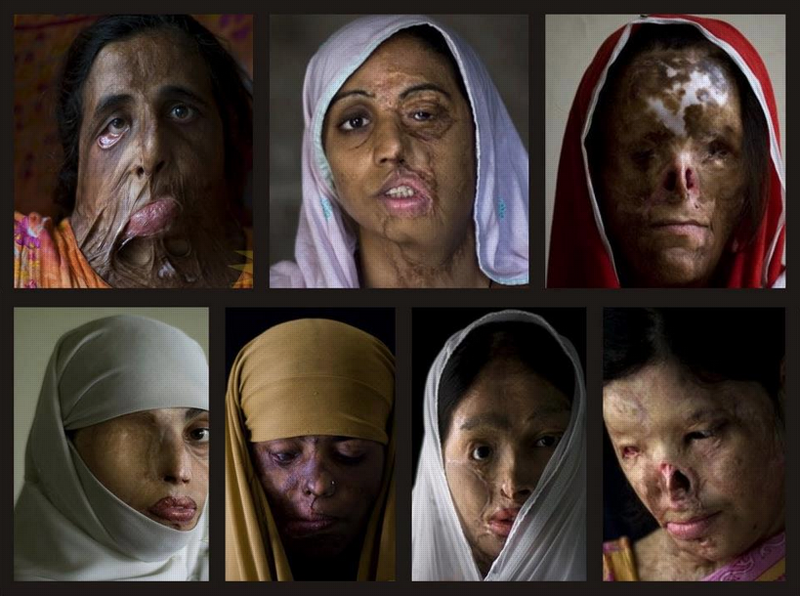 “Over 100 women a year are disfigured in Pakistan – most of the acid attacks are committed by their husbands who are punished for their so called bad behavior. The victims receive looks of scorn and criticism in the streets. In the Pakistani society, if a woman has a disfigured face, it is automatically assumed they did something wrong. This is ridiculous. There is a false sense of superiority of men over women. Worse, there is a false sense of “ownership” that husbands have over their wives that condones abuse instead of what it should be – honour, respect, love. There are generations of deluded reinforcement and conditioning behind this that needs to be broken. How? There is not much we can do from here but highlighting the plight keeps those on the ground fighting the real fight encouraged. You can also sign the petition right here. I have. It’s a small step but each step counts in stopping another one of these attacks.